Tday, I want to share with you, current affairs in Nigeria today and the Nigerian current affairs for job interviews. Truthfully, we simply can not know everything, so it is advisable to always update ourselves. In most Job interviews and examination, Questions are sometimes picked from Nigeria current affairs. If you have ever been worried or disturbed on how to get Nigerian current affairs, or want to practice free current affair past questions and answers either for job interviews, scholarship examinations or politics aptitude test, this article is specifically created for you. This page contains More than 200+ Nigeria and general current affairs questions and answers up to the 2019. 11. Economic Community of West African States ECOWAS. was established in what year? Rule of law: this is the restriction of the arbitrary exercise of power by subordinating it to well-defined and established laws. It’s the supremacy of law over everybody. Monarchy: this is also known as kingship. It’s when the ruler(King) rules for his lifetime and passes the position to his blood as an inheritance. 5. What does the eagle in the Nigerian coat of arm represent? 2. Who is the current INEC chairman? 3. Who is the current NAFDAC Director General? 4. Who is the current Inspector General of police? 7. Who is the current minister of education? 8. Mention five rivers in Nigeria that share their names with a state. 9. What was the first political party in Nigeria? 10. Who is the current president of Nigeria? 11. Who is the current vice president of Nigeria? 12. What does the eagle in the Nigerian coat of arm represent? 13. Mention 5 past senate presidents of Nigeria. 14. 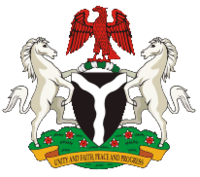 What do the two horses on the Nigerian coat of arm represent? 14. What was the black shield in the Nigerian coat of arm stand for? 16. What does the white colour in Nigerian flag stand for? 17. What does the green colour in Nigerian flag represent? 18. Who is the current minister of finance? 19. Who is the current minister of defence? 20. Nigeria is divided into how many geopolitical zones? 21. What was the first capital city in Nigeria? 22. Who is the current minister of FCT? 23. Who is the current Nigerian Deputy Senate president? 26. Who designed the Nigerian flag? 27. Which country won the last world cup? 28. Who was the first man to buy a car in Nigeria? 29. Who was the first woman to drive a car in Nigeria? 30. What is the first TV station in Nigeria? 31. Who is the current CBN Governor? 32. Where was crude oil first discovered in Nigeria? 33. Who was the first Nigerian to become a Noble Laureate? 34. Who is the Nigerian current speaker of house of Assembly? 35. Who is the minister for petroleum resources in Nigeria? 36. Who is the current chief justice of Nigeria? 37. When was the Nigerian Naira introduced? 38. When was the first military coup carried out in Nigeria? 39. How many local Government do we have in Nigeria? 40. Who is the first Nigerian president? 41. Who was Nigerian first executive president? 42. Who was the Nigerian first prime minister? 43. What is the largest continent in the world? 44. What are the five Oceans in the world? Answer: Pacific Ocean, Atlantic Ocean, Indian Ocean, Southern Ocean, Arctic Ocean. 1. The military coup of July 25, 1975 which topped general Yakubu Gowon from power took place when he was attending which important event? 6. What was the primary purpose of the Sir Henry Willinks Commission of Inquiry? c. To amalgamate Northern and Southern Nigeria. 7. Into how many local government areas is Nigeria officially delineated? 10. Which of these men introduced indirect rule in Nigeria? 18. In which of the following countries is governmental powers most fused? Who is the current chief of Army staff? This is one of the most compiled Nigerian current affairs for 2019. Please If there is any modification we missed or information you think is wrong, do communicate with us through the contact form or the comment box below. Share with Friends on Facebook, Twitter and Whatsapp, using the share buttons below.